Log in. Click eLion. Click Students. Click Information Change Screen. Each of online course uses a standard textbook and an online learning system. Participating online, students are expected to complete reading and homework assignments; submit assigned papers, projects, and essays; and take online quizzes and examinations. Conversations with classmates and professors use an asynchronous message board. All professors have office hours via chat sessions and are available by e-mail and telephone. To register for online classes, new students may call (877) 856-2144 and speak with any available student advisor. Returning students can register via eLion through the University's website as well as speak with a student advisor. One course is considered part time, two or more courses full time. Students must apply for admission prior to taking classes. Financial aid is available only to those students who have been admitted and have matriculated. All students are required to take the same comprehensive examinations for graduation as on-campus and Saint Leo University WorldWide students, and may choose to attend the on-campus commencement ceremonies. whose employers will indicate a positive satisfaction level with these graduates and their preparation level for suitable employment and/or graduate studies. Extensive information resources are available to all students through the Daniel A. Cannon Memorial Library. For online students, the library website and the Ask-a-Librarian feature are designed to aid remote access to the library's resources and services. Online students may also call the reference desk at 800/359-5945 for person-to-person assistance from a reference librarian. Online Technical Support can be reached at (866) 501-1636, 24 hours per day, 7 days per week. All new students will be placed in MAT 003 and ENG 002 unless the prerequisites for placement into higher courses are met. Prerequisites for placement into higher courses can be met through transfer credit or Assessment scores. It is highly recommended that all new students take the English and Math Assessment exams. The Assessment exam process is critical in determining students' abilities and knowledge. Assessment exams are designed to gauge students' aptitude and skill level in the given subject areas. 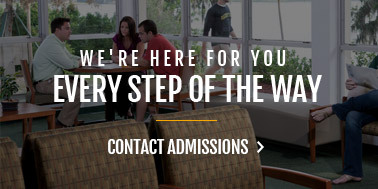 Saint Leo University wants students to succeed in their academic pursuit. 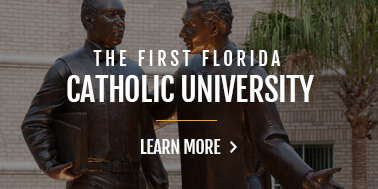 By accurately placing students in the appropriate courses, Saint Leo University is assisting in the achievement of that goal. College work requires a certain proficiency in English and Math necessary for further study in higher-level courses. Foundation courses are designed to provide students with the basic academic and personal skills needed to complete a college education. These courses provide a practical orientation to collegiate life, and they prepare students for the challenges and opportunities associated with completing a four-year college education. 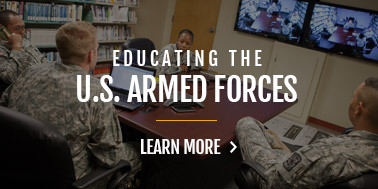 Additionally, these courses provide basic instruction in such areas as learning, writing, reading, critical thinking, computer science, and mathematics. Generally, these Foundation courses are completed during a student's first year of college. This course does not satisfy a University Explorations (general education) requirement in English or elective credit for the associate's or bachelor's degree. This course is designed to remedy the special problems of students whose English preparation reveals marked deficiencies in verbal skills. To ensure competence in oral communications, a speech component is included. Course fee may apply. Offered every term. This course does not satisfy a University Explorations (general education) requirement in mathematics or elective credit for the associate's or bachelor's degree. This course is designed to help students build a foundation for algebra. Topics include algebraic expressions, order of operations, linear equations, inequalities, introduction to graphing, polynomials, exponents, and factoring. Offered every term. 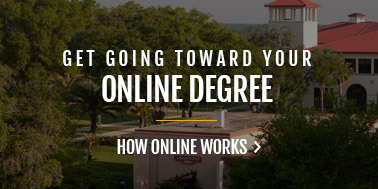 Online Learning students have access to the portal.saintleo.edu portal. With a single login, students will be able to access eLion, e-mail, and the Daniel A. Cannon Memorial Library. The portal also offers access to the Learning Management System classroom. my.Saintleo features a personal calendar, contacts list, briefcase, and much more. 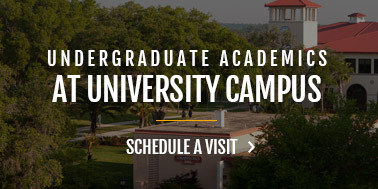 my.Saintleo is located at http://my.saintleo.edu. The University provides online registration services through the eLion system. Students will receive a login and password to the eLion system and are also provided an e-mail account that will be the formal mode of communication between the University and the student. 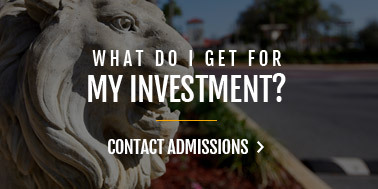 Access to eLion is available through http://my.saintleo.edu. Delta Epsilon Sigma is a national scholastic honor society for students, faculty, and alumni of colleges and universities with a Catholic tradition. It was founded in 1939 to recognize academic accomplishments, to foster scholarly activities, and to encourage a sense of intellectual community among its members. More than 100 colleges and universities have received charters to establish chapters of Delta Epsilon Sigma. Delta Nu is the local chapter of Delta Epsilon Sigma. Sigma Beta Delta, the international honor society in business, management, and administration, was founded in 1994. The Saint Leo chapter was established in 1994 as one of the founding chapters. Sigma Beta Delta was established to encourage and recognize scholarship and accomplishment among students of business, management, and administration and to encourage and promote aspirations toward personal and professional improvement and a life distinguished by honorable service to humankind. Sigma Beta Delta espouses three principles: wisdom, honor, and meaningful aspirations. Sigma Beta Delta members are challenged to pursue wisdom throughout their lives, to accept honor as a constant companion throughout their lives, and to aspire to goals that will chart them on the path of wisdom and honor throughout their lives. Sigma Beta Delta inducts eligible students and qualified faculty based on their sustained scholastic and personal achievement in business, management, and administration and a dedication to the principles of wisdom, honor, and meaningful aspirations. Online tutorial services are available 24/7/365 for all OL courses via a licensing agreement with Smarthinking. Online access information to Smarthinking is located in each OL classroom.